We have already matched our gins with a selection of Fewer Tree tonics. You can of course change it to other Fewer Tree tonics available: Regular, Light, Aromatic, Elderflower, Mediterranean and Lemon Tonic. 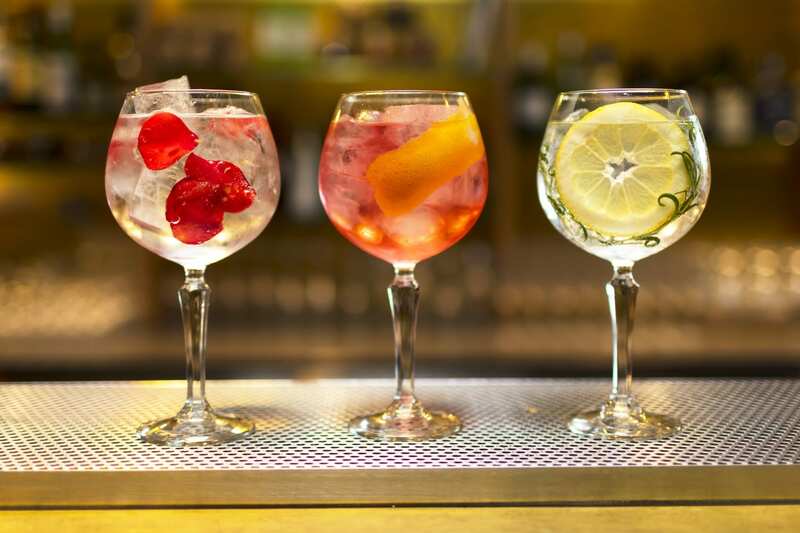 October Offer – Buy One Gin and get the 2nd half price. Offer available until the end of October, the cheapest Gin will be half price, and must be purchased within the same transaction. To celebrate the launch of our Gin Menu! Distilled and bottled in Scotland, Hendrick’s is a super premium gin with a subtly different botanicals recipe that includes a unique infusion of rose petals and cucumber alongside more traditional botanical ingredients. Silent Pool Gin is a classic gin at heart, full bodied and fresh with depth, clarity and flavour. Floral notes of lavender and chamomile combine with the freshness of citrus, grounded with the subtle sweetness of local honey, to create a well-balanced gin that is both traditional and refreshingly individual in nature. This gin was launched in 1830 by Charles Tanqueray, his ingenious pursuit for perfection paid off, creating Tanqueray London Dry, a perfectly balanced gin and one of the most awarded gins in the world. It’s key botanicals are juniper, coriander, angelica root and liquorice. A floral and zesty gin with a long, lingering and gently sweet finish. Light citrus freshness, with waves of honey sweetness developing alongside vibrant floral elements. Made with botanicals including juniper, orange peel, liquorice, elderflower and bitter almonds, Seville Orange Gin is simply bursting with flavour. A crisp and citrus finish to create a wonderfully zingy drink. Made using a variety of rhubarb originally grown in Queen Victoria’s garden and Harrington Dry Gin to produce a spirit with plenty of sweetness and some subtle and notes of rhubarb.